I get the question all of the time when people call and they find out we do not do boat rentals anymore, “So what is there to do on Lake Conroe?” My answer typically changes by what we have already talked about but if only I had more time, I could tell them so much more! I could ramble off the list of things we do like yacht charters, party barges, houseboat rentals, and so on but without an explanation, people have no idea what I’m talking about. Instead of telling you everything you could possibly do on the lake, I am going to tell you what you can do out of Waterpoint which seems to be the hotspot of the lake during the summer. I may be a little biased but I have done all of these things multiple times and can say I am completely satisfied with my summer plans for this summer on Lake Conroe! If you haven’t heard of this yet you need to check out this video of Ronnie, the owner of Hydro Rockets flyboarding at the Dubai World Championships this past year. If you don’t have time to look at the video, imagine Iron Man but being propelled by water… that’s flyboarding. Now like any profession, you may not be able to do the crazy backflips on your first try but it doesn’t mean you shouldn’t try it. I’ve seen Ronnie help people all ages, shapes, and sizes get out of the water and experience something like never before. You need to come out and try this! SUP bro?! No it’s not like that. Stand up paddle boarding is another new craze that is becoming more popular anywhere there is water. It is like an oversized surfboard that you can stand or sit on and paddle around the coves and water around Waterpoint. This can be something relaxing or more of a workout depending on what you would like to do. I see some people paddle out into the cove and lay on it like a pool floaty while I see others doing pushups, handstands, and some other crazy yoga poses who sometimes end up falling into the water for a nice wakeup call. 3rd coast Paddleboards is located right next to Starbucks at the Waterpoint shopping center down on the boardwalk. TJ will set you up! Just like the pedal parties you see in Houston, we are now seeing out on Lake Conroe. But now, if you overwork yourself, you can just take a quick dip in the water or just sit and enjoy the sites out on the lake. Jennifer from Dryft Cycleboats loves showing customers some of the lake while you can open up a lid on the onboard bar and have a drink too. And if you are up for the challenge, see if you can beat the record for fastest group to “Dryft” through the water. Don’t worry, if you get tired, she has a small electric motor that can get you back in. This spectacular Lakeside Venue creates the perfect backdrop for all kinds of events and celebrations holding up to 300 guests and offers the best of both worlds providing majestic indoor and outdoor gathering spaces. As your guests enter the venue, they are greeted with a stunning arched foyer that leads to the luxurious grand room offering floor to ceiling windows and spectacular views of Lake Conroe. The luxurious grand room leads your guests to the outdoor lakeside veranda with over 3000 square feet of outdoor gathering space. The veranda provides your guests the opportunity to enjoy the splendor of the sun shining off of the water, dancing under the stars or viewing a magnificent sunset. You need to see this place! Lynn is so genuine with all of her customers. Just check out her reviews! 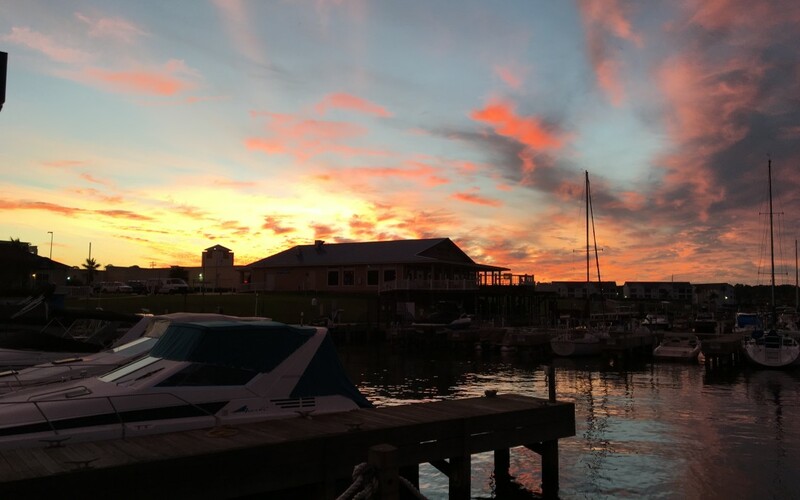 There is no better way to end your day (or maybe start your day for those of us who like to sleep in) than to have a drink or bite to eat looking out onto Lake Conroe. The Waterpoint Shopping Center has so much to offer for food choices. Marble Slab Creamery for ice cream on those hot summer days, Smoothie King to get a refreshing fruity drink, and Which Wich for a delicious sandwich. 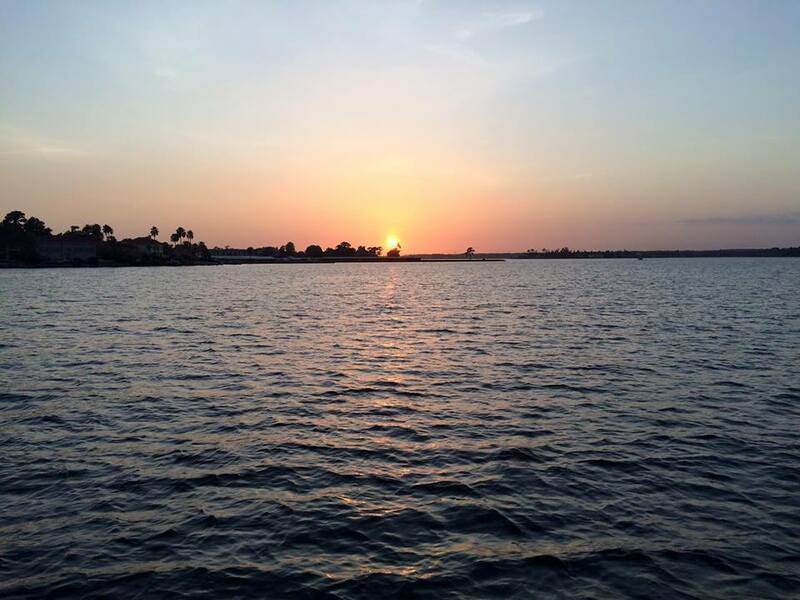 If you’d like to enjoy the lake while you eat, you can go to Starbucks for your morning coffee, Fajita Jacks who has the best fajitas and margaritas, Akashi who has some great Asian cuisine and sushi, or Sam’s boat for a laid back feel, crawfish, and seafood. Hopefully this will help you get some ideas for what you can put on your schedule this summer. And maybe you can help us out when you hear someone ask “What is there to do on Lake Conroe besides rent a small boat?” No matter what you choose to do here at Waterpoint (or go for it all!) you will not be disappointed. If you’d like more information, you can contact us or call us at 936-788-2628. We’ll see you on the lake!